Ibiza visitors and residents life life to the full in the summer months with long days on the beach, dancing the night away and all this takes its toll. Some of the island's wellness experts offer Juice detox cleanses from 1 to 7 days. Juice Cleansing allows us to detoxify our systems by substituting solid foods with fresh, organic vegetable and fruit juices. We feel fresher, enegrised and look vibrant as the cleansing enhances the body’s natural ability to efficiently remove toxins, while limiting the intake of new ones. During this process, organs and cells are allowed to simultaneously purge, repair and rejuvenate. Verity Smith offers cleansing plans which can be followed for 1 to 7 days in which she personally cold presses juices using organic and locally grown produce together with her organic range of the finest Superfoods. 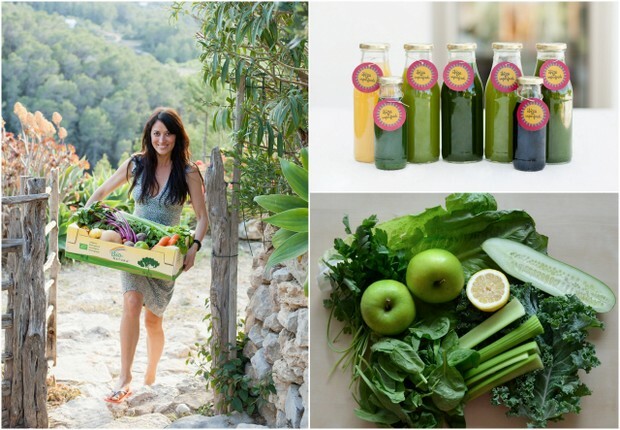 iPurify Ibiza offers pure juices made with raw, organic, locally sourced and unpasteurized ingredients together with a highly specialised extraction process. The hydraulic press system which uses pressure, rather than heat, extracts a high concentration of vitamins and minerals and because no heat is involved in the juicing process, none of the key nutrients are killed off. Unlike extreme fasting, the iPurify juicing system infuses and energizes the body by providing it with essential vitamins, minerals and enzymes, thereby avoiding debilitating fatigue and depletion. 38 Degrees North offer an alkalsizing raw juice cleanse detox where the juices are made every morning by Kelly and James who use fresh organic produce from the island and supplement them with super foods like spirulina, wheat grass and live bio cultures. They put all their love and passion into their work and only accept 8 detox customers at one time in order to continue to be able to offer a personalised one-to-once service. They operate out of Aguas de Ibiza hotel in the Spa. Ideal for clients staying in the hotel on holiday to kick start or end their time in Ibiza with a one day detox or as a supplement to one of their slimming or fitness programmes.